Roy & Myra Waldrom live in Taupo, a city in New Zealand's north island. 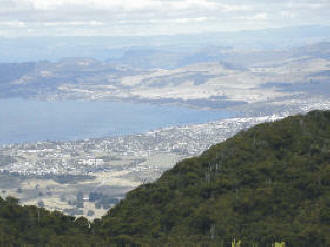 Mount Tauhara looks out over Lake Taupo. 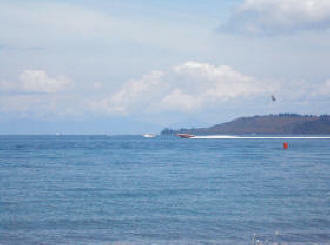 Lake Taupo is the largest lake in New Zealand. 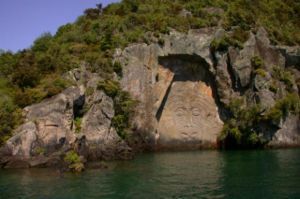 30 foot high rock carving on Lake Taupo.